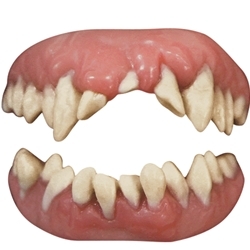 Teeth are a great way to add more realism to your costume and these FX teeth look great and are easy to wear. They are easy to apply, easy to remove, and non-toxic. Create the look of any number of monsters including Frankenstein, Young Frankenstein, or zombies.